High tibial osteotomy is a surgical procedure performed to relieve pressure on the damaged site of an arthritic knee joint. It is usually performed in arthritic conditions affecting only one side of your knee and the aim is to take pressure off the damaged area and shift it to the other side of your knee with healthy cartilage. During the surgery, your surgeon will remove or add a wedge of bone either below or above the knee joint depending on the site of arthritic damage. High tibial osteotomy is commonly used for patients with osteoarthritis that is isolated to a single compartment (unicompartmental osteoarthritis). It is also performed for treating a variety of knee conditions such as gonarthrosis with varus or valgus malalignment, osteochondritis dissecans, osteonecrosis, posterolateral instability, and chondral resurfacing. The goal of the surgery is to release the involved joint compartment by correcting the malalignment of the tibia and to maintain the joint line perpendicular to the mechanical axis of the leg. 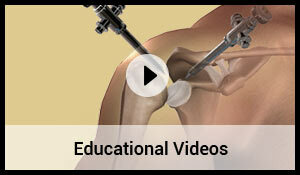 There are two techniques that may be used: closing wedge osteotomy and opening wedge osteotomy. 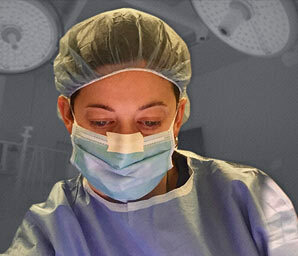 The surgeon determines the choice of the technique based on the requirement of the patient. Closing wedge osteotomy is the most commonly used technique to perform high tibial osteotomy. In this procedure, the surgeon makes an incision in front of the knee and removes a small wedge of bone from the upper part of the tibia or shin bone. This manipulation brings the bones together and fills the space left by the removed bone. The surgeon then uses plates and screws to bind the bones together while the osteotomy heals. This procedure unloads the pressure off the damaged joint area and helps to transfer some of the weight to the outer part of the knee, where the cartilage is still intact. In this procedure, the surgeon makes an incision in front of the knee, just below the knee cap and makes a wedge-shaped cut in the bone. Bone graft is used to fill the space of the wedge-shaped opening and if required plates and screws can be attached to further support the surgical site during the healing process. This realignment increases the angle of the knee to relieve the painful symptoms. Complications following high tibial osteotomy may include infection, skin necrosis, non-union (failure of the bones to heal), nerve injury, blood vessel injury, failure to correct the varus deformity, compartment syndrome and deep vein thrombosis or blood clots.